In the years since the financial crisis of 2008, corporate scandals have become both more common and more challenging to resolve. The scrutiny from regulators, news media, and the public is relentless and can last for years. Even when a scandal has finally receded into history, tomorrow’s headlines can bring more damning allegations, reopening old wounds and calling into question the thoroughness and efficacy of past remedial efforts. Not an enviable place for a leader to be in. Many crises begin when an allegation of misconduct is exposed to the public, whether by a whistle-blower, a media exposé, a police raid on company offices, or an investigation announcement by law enforcement. The immediate damage can be considerable, but becomes far worse by the revelation that leaders within the organization knew about the misconduct and condoned (or even concealed) it. The company’s share price, or enterprise value, can fall dramatically due to the high degree of uncertainty and risk that may even threaten the very survival of the organization in its current form. Organizations that are well prepared to detect and address misconduct early are far less likely to find themselves in crisis situations over which they have lost control. They have the tools to undertake an internal investigation, cooperate with law enforcement, and swiftly take any necessary action to move the organization from rocky waters to stable ground. 1. Recognize you’re in a crisis, not just a one-day news blip. Understand that there has been a rupture in the foundation of trust that you maintain with your stakeholders. At this stage, the board likely needs to take over the direction of the organization’s response, sending the message that the matter will be accorded the highest priority, and addressed independently and transparently. It is important at this point to balance a sense of urgency with the patience to truly understand the crisis. Don’t panic and fumble the response by giving into the pressure to be seen doing something. 3. Take remedial measures to correct the issues detected in investigations, overseen by the board but largely executed by senior management. These may include immediate changes to personnel, internal controls, training, and other areas, and are intended to stop a pattern of misconduct. It also involves drafting a comprehensive roadmap for a stronger and more sustainable organization. Leaders need to commit to fixing what is not working and communicate this commitment throughout the organization. 4. Bring closure to any regulatory and prosecutorial matters through some form of settlement arrangement, with particular attention given to criminal inquiries or those that could lead to debarment. The legalities involved behind a scandal need to be considered from day one but they take time to resolve. A settlement should be viewed as an opportunity to build stakeholder confidence and strengthen the company against future crises rather than an end unto itself. 5. Strengthen organizational structures to prevent, detect, and respond to misconduct, namely through the development of a strong corporate ethics and compliance program following international good practices. Senior management leads this process, using compliance experts from outside and promoting the changes throughout the organization. 6. Reshape the culture of an organization though new leaders, a renewed focus on integrity, and new incentives for ethical conduct. Without refreshed or renewed leadership (and fresh ideas), it is difficult to turn a crisis into an opportunity. 7. Take a long look at the corporate strategy. Often, in the wake of a crisis, you need to refocus the strategy on core capabilities and priority markets, and shift away from distracting, poorly overseen, or excessively risky markets or projects. This step necessarily requires an engaged board of directors. In some instances, a crisis signals that your business models that were unduly risky or not fully thought through. 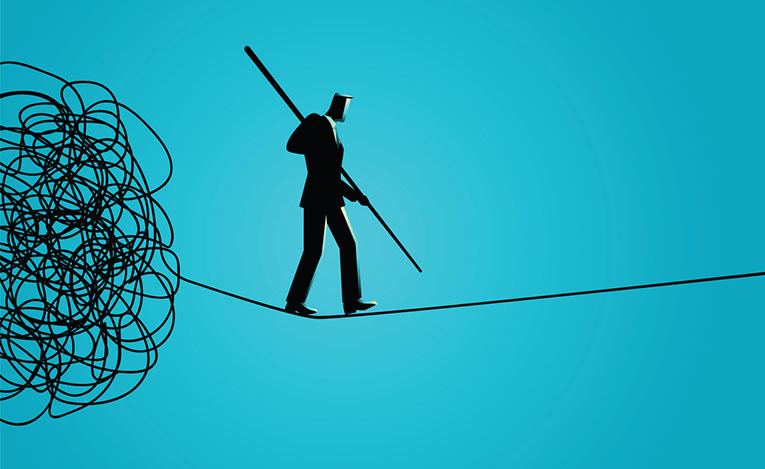 Being closely attuned to pressures that may be building up within the organization—pressures to perform and to conform, which may result in ethical corner cutting. Hearing the messages sent by whistle-blowers and paying close attention to what remains unsaid—at board meetings, site visits, and interactions with key stakeholders. There is a danger in simply hearing what you want to hear. Rejecting double standards in accountability. Don’t be blind (or tolerant) towards the unethical actions of high-performing managers. Embrace a zero-tolerance attitude towards misconduct and avoid rationalizing behavior that runs contrary to your organization’s stated values. Although every crisis is different, I have found that there are reliable milestones that can guide you on the path to remediation and reform. At each one, showing the willingness to confront uncomfortable realities head on can be the difference between success and failure in the long term. Originally posted on HRPS blog. José R. Hernandez, Ph.D., is CEO of Ortus Strategies and author of Broken Business: Seven Steps to Reform Good Companies Gone Bad.